A fitting end to a great trilogy! The Rats Sequel "Lair", does not disappoint! 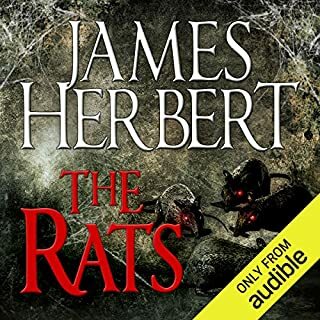 Book One in Herbert’s classic ‘rats’ series.The terror begins. London is struck by an invasion. Women, children, old and young, none are safe from the deadly menace. The attacks are swift and sure, escape is impossible. A state of emergency is declared. Evacuation seems the only solution in the face of a growing panic and mounting death toll. War is declared on the public enemy number one. The Rats! The ugly truth. Nicholas Dismas is a Private Investigator, but like no other that has gone before him. He carries a secret to which not even he has the answer. Dismas is hired to find a missing baby. One that was taken away at birth... Or was it? His investigation takes him to a mysteriously located place called Perfect Rest, a nursing home for the elderly. Here Dismas will discover the dark secret of the Others. And in an astonishing and spectacular finale he will resolve the enigma of his own existence. The nightmare home. We thought we'd found our haven, a cottage deep in the heart of the forest. Quaint, charming, maybe a little run-down, but so peaceful. The woodland animals and birds couldn't have been more neighbourly. That was the first part of the Magic. Midge's painting and my music soared to new heights of creativity. That was another part of the Magic. Our sensing, our feelings, our love for each other - well, that became the supreme Magic. But the cottage had an alternative side. The Bad Magic. liked it! just a nice fun story. The end is beginning. The time is just a few short years from now. But already the signs of global disaster are multiplying. Freak storms, earthquakes, floods volcanic eruptions are sweeping the earth. The last violent spasms of a dying planet. Then a series of ominous events signal the emergence of new and terrifying forces. Jim True has returned from an out-of-body experience to find he has been brutally murdered and his body mutilated. No one can see him, no one can hear him, no one, except his killer, knows he still exists. Freed from his body, True embarks on a quest to find his killer and discover why and how he has managed to survive. As he closes in on his murderer, True discovers that even the very people he loved and trusted have betrayed him. He meets his killer, a strange and sinister figure who can also leave his body at will. The Survivor begins with a bang and never lets up. In his morbid Mancunian drawl, decorated actor Robert Powell (The Italian Job, Jesus of Nazareth) delivers this chilling tale, following pilot David Keller as he emerges the lone survivor from a gruesome airplane wreck that claims over 300 passengers. 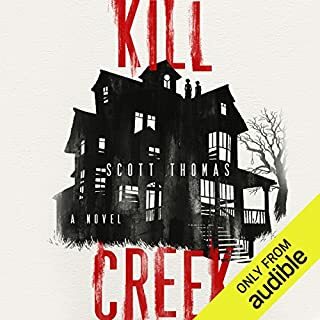 As the townspeople of Eton grapple with the unthinkable tragedy, Keller begins to experience horrific visions, leading him to wonder what unfathomable forces want him alive. 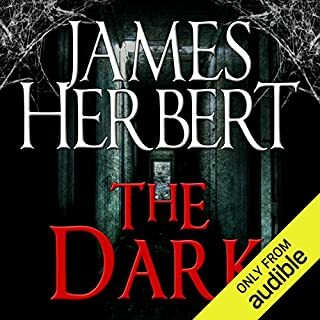 Master of the macabre James Herbert transports listeners to an eerily quiet English hamlet as he doles out old-world religion and supernatural specters - hallmarks of the "British Stephen King", to be sure. Powell hosts the proceedings in his lilting, melodious death whisper, as haunting and ominous as Herbert’s ghosts. 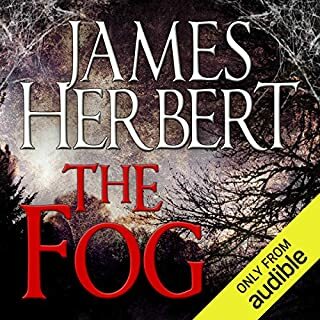 James Herbert was one of Britain’s greatest popular novelists and our #1 best-selling writer of chiller fiction. Widely imitated and hugely influential, he wrote 23 novels which have collectively sold over 54 million copies worldwide and been translated into 34 languages. Born in London in the forties, James Herbert was art director of an advertising agency before turning to writing fiction in 1975. His first novel, The Rats, was an instant best-seller and is now recognised as a classic of popular contemporary fiction. Herbert went on to publish a new top ten best-seller every year until 1988. He wrote six more bestselling novels in the 1990s and three more since: Once, Nobody True and The Secret of Crickley Hall. Herbert died in March 2013 at the age of 69. 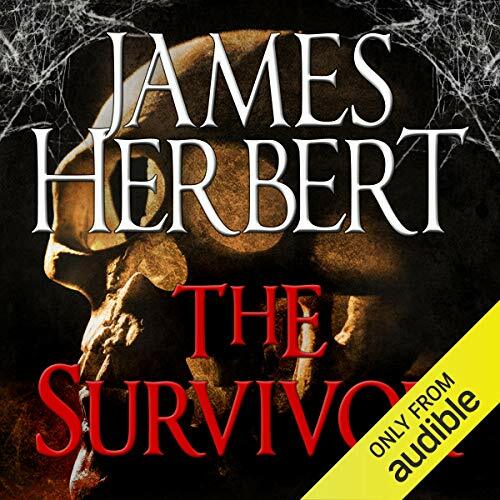 This was the my first James Herbert book, and I am looking forward to more!!!! The narrator, Robert Powell, was great!!! Decent story that should of been half as long. Although the language is somewhat pretty, I felt it was a bit too long. Less filler would have been nice. I was unclear about what I was supposed to be afraid of. Is it ghosts, ghouls, the undead. It was a bit confusing and vague on what exactly these things are. Read well, but hardly acted at all. The story is good, but that's it, good. I have always loved James Herbert. Just a profound loss to the literary world. This book, as always, was of the usual high standard. I found the story, side stories and back stories made for something more understandable. Let's not forget Robert Powell. I actually believed there was a cast reading this book, such was Robert's skill with accents and different voices. If you could sum up The Survivor in three words, what would they be? What was one of the most memorable moments of The Survivor? The final twist ending was terrific. Which character – as performed by Robert Powell – was your favourite? Robert Powell performs the character of the medium brilliantly. At one point was like hearing a dozen different people in the same room. The air crash scene was particularly scary and moving. 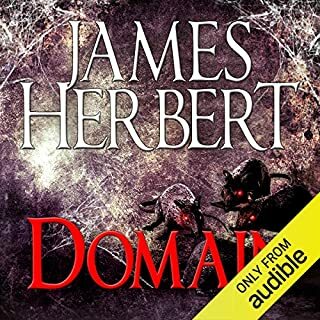 Robert Powell is my favourite narrator, and here he really shines, doing several different parts so well you would think they were played by different actors. The story is a memorable supernatural thriller with a terrific twist ending. Well recommended. Um, it wasn't bad or particularly good really. It was OK. It was written in workmanlike fashion but well read. Crickley Hall and his later detective series felt better written. The ending was nicely done, the 2hrs before the ending felt over-stretched and overly staged. Have you listened to any of Robert Powell’s other performances? How does this one compare? Did The Survivor inspire you to do anything? Read a Stephen King novel! Not one of Herberts best in my opinion. What was most disappointing about James Herbert’s story? It's 'better' when you realise it's written in the 1970s. No modern forensics which makes much of the story nonsensical - until you realise the 1970s bit. And it's a 1970s style supernatural story which I wasn't expecting. It tried to build suspense, but it failed. There was one unexpected twist at the end. But not worth waiting for.